Periods aren’t that bad. Or painful. Who am I even kidding? We, women, are nothing short of being superheroes when it comes to dealing with pain during different phases of our life. As much as we wish that our periods aren’t as painful as they are hyped to be, they never fail to leave us writhing and curling in pain every single time. Every 28 days, every… Let’s just stop there for now. Period cramps are indeed the most exasperating aspects of ‘that time of the month’, but not anymore! We have listed some amazing and effective home remedies for period cramps that can help relieve period cramps and their symptoms naturally. Read on! Period cramps are medically known as dysmenorrhea. They are mainly caused due to the contraction and relaxation of your uterine muscles that occur during the menstrual cycle. A few other factors may also decide the severity of your muscle cramps, and they are discussed below. Period cramps are most often associated with a dull ache or pain in your lower abdomen or back. The symptoms are discussed below. As if periods alone weren’t enough, the cramps that accompany them just make things worse. 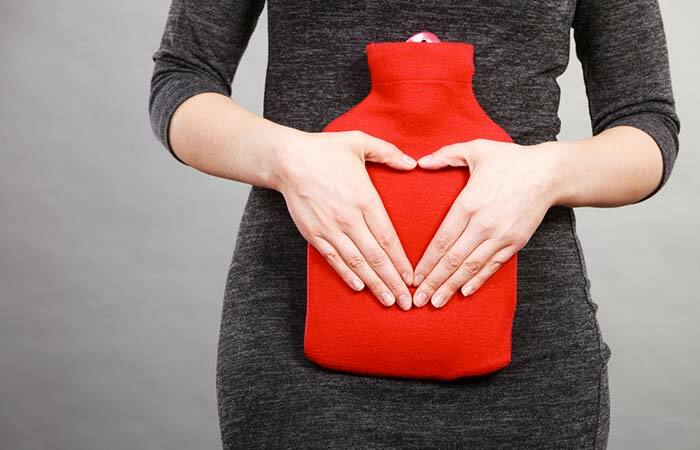 Before your hormones and mood go all over the place, here are home remedies that can help relieve period cramps in the best and most natural way. Take a heating pad or hot water bottle filled with hot water. Place this on your lower abdomen and lower back for about 10 minutes. Alternatively, you can also soak a clean washcloth in some hot water, wring it and place it on your abdomen and back. You can do this multiple times daily until you obtain relief. Applying heat is one of the most preferred methods to relieve pain and cramps due to its relaxing and anti-inflammatory effects on the affected muscles (1). In fact, studies have shown that it is almost as effective as taking pain relievers like ibuprofen for reducing menstrual cramps (dysmenorrhea) (2). Therefore, the next time you have menstrual cramps, either place a heating pad on your stomach or simply take a hot shower. 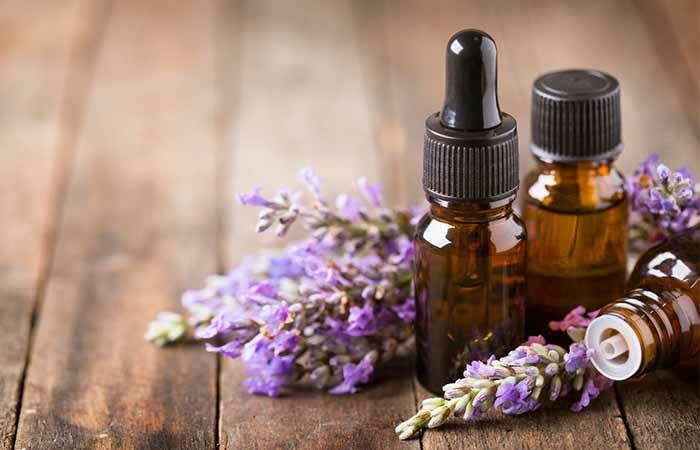 Mix lavender oil with coconut or jojoba oil. Apply the mixture to your lower abdomen and back. You can also put a few drops of lavender oil in a diffuser and inhale its vapors. Lavender essential oil is quite effective in treating period cramps due to its anti-inflammatory and pain relieving properties (3). And inhaling the oil relaxes you and induces sleep (4). Mix peppermint oil with coconut or jojoba oil. Apply this mixture directly to your lower abdomen and back and massage gently. You can do this once daily until your period cramps begin to fade. 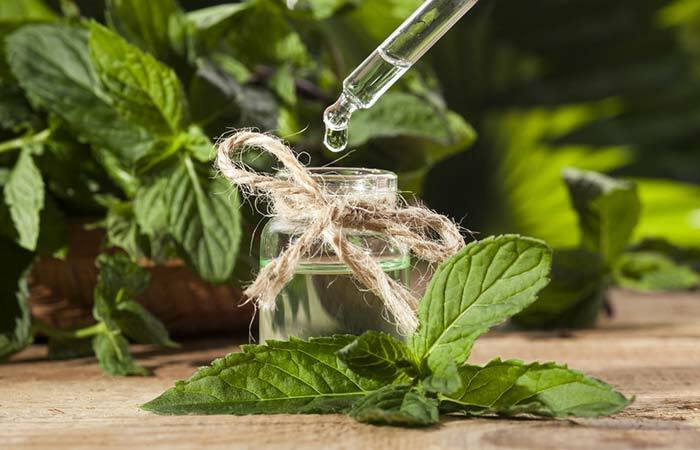 Peppermint oil contains menthol, which is a popular decongestant and has pain and anxiety relieving properties. The wonderful aroma of peppermint can also help in overcoming nausea and headache, which are symptoms of period cramps (5), (6). Soak a chamomile tea bag in a cup of hot water for 10 minutes. Allow it to cool down a bit and then add some honey. You must drink chamomile tea at least twice daily and a week before getting your periods. 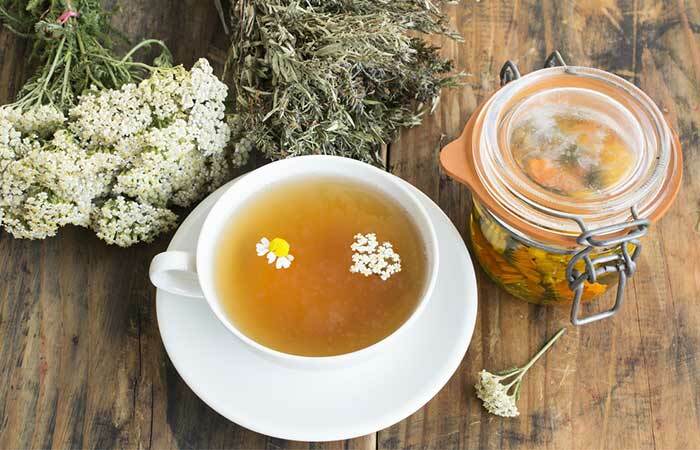 Chamomile is a flowering plant that is quite popular for relieving period cramps. It contains flavonoids that exhibit anti-inflammatory properties, which can help reduce the pain and inflammation (7). Chamomile is also a natural antispasmodic and can help in relaxing the uterine muscles (8). Steep an inch of ginger in a cup of hot water for about 10 minutes. Let it cool for a bit. Add honey to it. You must drink ginger tea thrice a day if you suffer from period cramps. 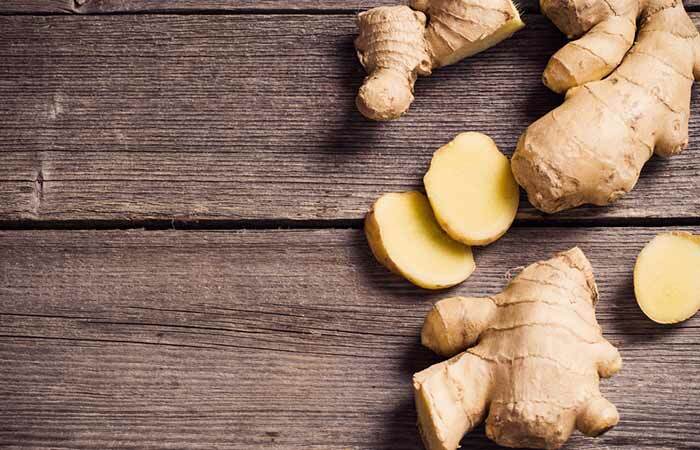 Ginger is one of the best and easiest ways to relieve period cramps (9). The anti-inflammatory properties of ginger help in reducing the pain associated with the condition (10). It also helps cure nausea and calms an upset stomach (11). A single large dose of vitamin D was found to bring noticeable relief from menstrual pain and cramps (12). Vitamin D can reduce the production of prostaglandin, which causes period cramps. However, since studies are limited, it is better to limit the dosage of vitamin D supplements for this purpose. 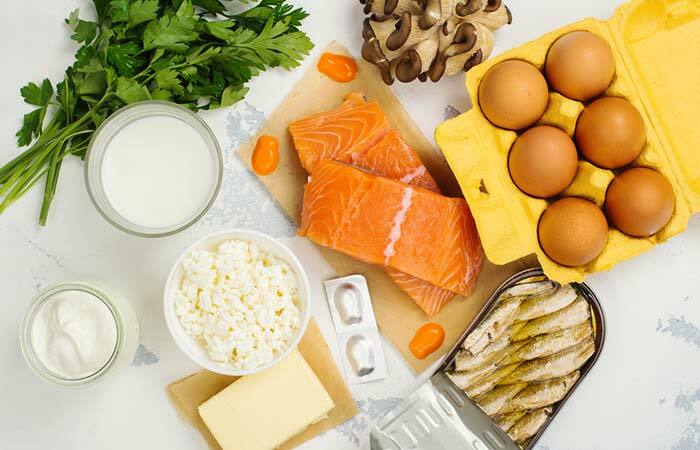 But you can go ahead and increase your intake of vitamin D via your diet by consuming foods like fish, cheese, egg yolks, orange juice, and cereals. Add the green tea leaves to a cup of water and bring it to a boil. Simmer for 3 to 5 minutes and strain it. Allow it to cool a bit and add some honey for flavor. You must drink green tea 3 to 4 times daily. Green tea contains flavonoids called catechins that give it its medicinal properties. 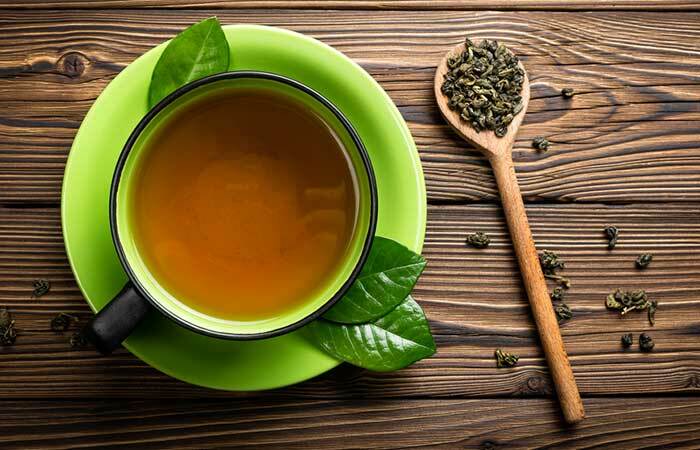 Green tea is a natural antioxidant and also has analgesic and anti-inflammatory properties, which can help relieve the pain and inflammation associated with period cramps (13), (14). Drink half a cup of pickle juice. You must do this once a day, preferably right after you experience menstrual cramps. Pickle juice, with its high sodium content, is an amazing remedy that not only rehydrates you but also relieves period cramps. It is known to relieve muscle cramps post-exercise quickly and is hence effective for menstrual cramps as well (15). 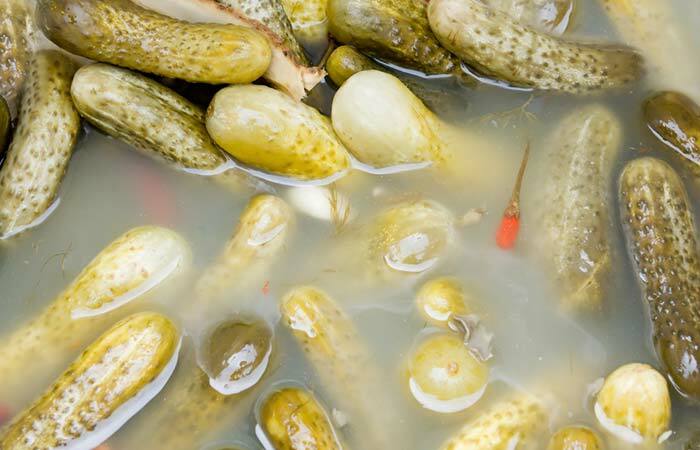 Avoid taking pickle juice on an empty stomach. Do this 3 to 4 times daily when you are on your period. 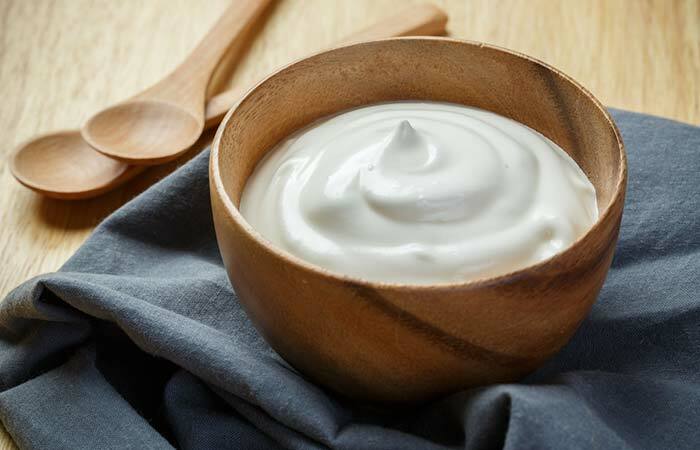 Yogurt is a rich source of calcium and contains trace amounts of vitamin D. The intake of both calcium and vitamin D helps reduce the symptoms of PMS and relieves period cramps (16), (17). Add a cup or two of Epsom salt to a warm bath. Soak in the bathwater for 15-20 minutes. You must do this 2 or 3 days before your periods begin. Epsom salt is also known as magnesium sulfate. 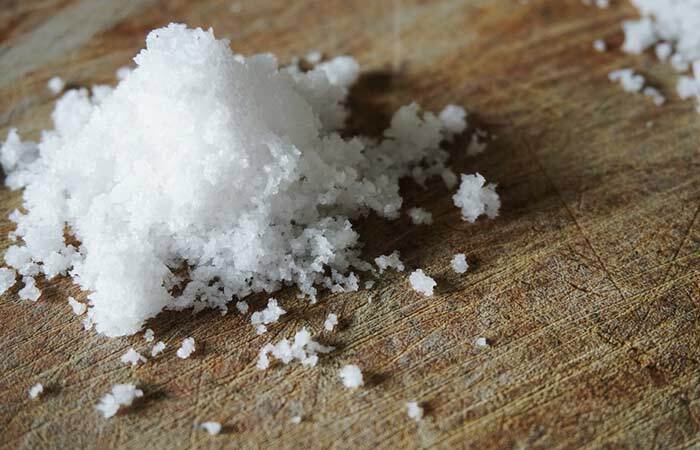 The magnesium in the salt is responsible for its anti-inflammatory and pain relieving properties. When Epsom salt is absorbed via your skin, it can help relieve period cramps and pain (18). Soak the fenugreek seeds in a glass of water overnight. Consume it on an empty stomach in the morning. Drink this mixture once every morning, a couple of days before your periods begin. Fenugreek seeds contain compounds like lysine and tryptophan-rich proteins, which account for a majority of its therapeutic properties. 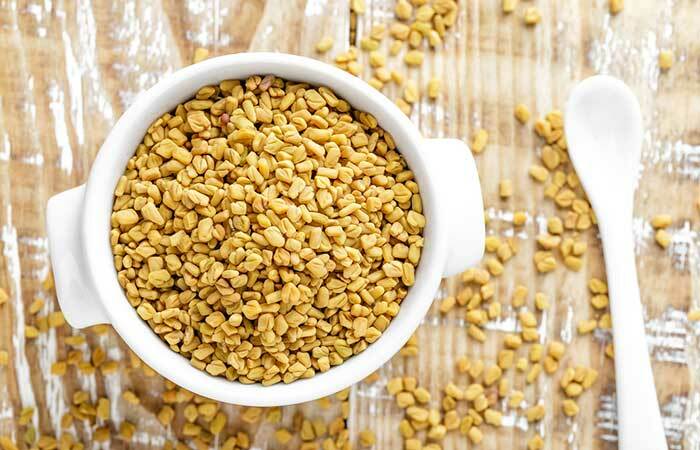 Fenugreek is quite popular for its analgesic and pain relieving properties, which can help reduce period cramps (19). Your foot has a pressure point that can help you in getting immediate relief from period cramps. This point is usually located about three finger widths above your ankle bone. Gently massaging this point with your thumb and fingers can help relieve period cramps and their symptoms like bloating, insomnia, and dizziness (20). This massage is known as reflexology or zone therapy. Consume aloe vera juice daily. 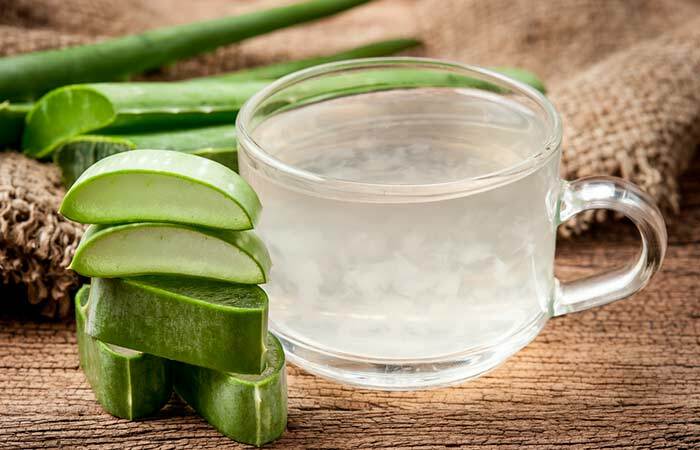 Start drinking aloe vera juice once a day, a few days before your period begins. The healing and anti-inflammatory properties of aloe vera help in relieving painful period cramps. It can also help in improving blood flow, which, in turn, reduces the intensity of the cramps (21), (22). 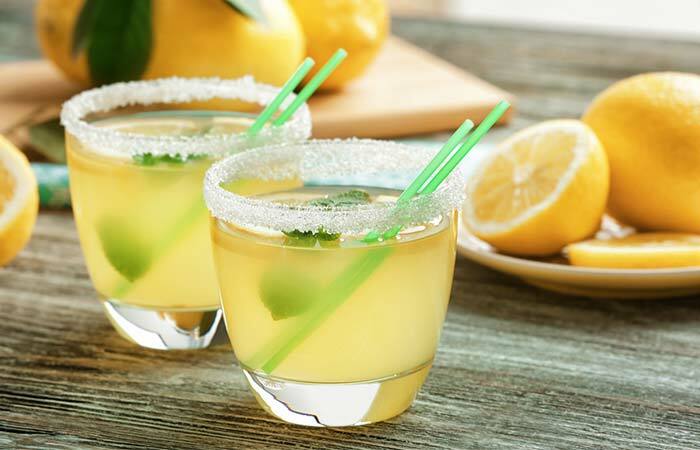 Squeeze half a lemon into a glass of warm water and mix well. Add some honey to it and drink. Have lemon juice once every morning on an empty stomach. The anti-inflammatory properties of lemon help in providing relief from period cramps (23). It is also rich in vitamin C, which helps with iron absorption (that is often lost during menstruation) and is good for your reproductive system (24), (25). Apart from using these home remedies for period cramps, you can also follow the tips mentioned below to address the symptoms. Have a healthy and balanced diet that consists of fresh fruits and vegetables. Consume less of sweet and salty foods. Practise meditation and yoga poses like Child’s Pose, Savasana, and Knees-to-chest Pose. Drink plenty of water and fresh juices to keep yourself hydrated. You can also undergo acupuncture treatment to get relief from period cramps if necessary. Inspite of using the home remedies for period cramps and following the tips, if you do not obtain relief, visit a doctor immediately. Listed below are a few scenarios that require medical attention. The menstrual cramps last longer than usual. All your symptoms worsen and are more frequent. In addition to following the home remedies for period cramps and tips mentioned in this article, you need to follow a healthy diet and exercise regularly to avoid the condition. Don’t allow period cramps to interrupt your day to day life. Which of these remedies worked for you? Do let us know in the comments section below. What are the best medicines for period cramps? If you are suffering from period cramps, your doctor may prescribe medicines like ibuprofen. However, you can try any of the remedies mentioned in this article for relief. Why am I having cramps but no period? Cramps usually begin a day or two before your period starts and last until the second day. However, in some cases, cramps can be a result of pregnancy, a ruptured cyst or an underlying medical condition. How to stop period cramps at school? Gently press at a pressure point below your abdomen that is usually about four finger widths below your navel. Breathe deeply to increase the level of oxygen in your blood. Gently massage your lower back and abdomen. 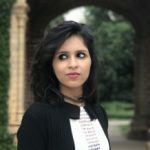 Why do I have cramps even though I am not pregnant or on my period? Cramps can occur even if you do not have periods or aren’t pregnant. As mentioned earlier, medical conditions like inflammatory bowel disease, a ruptured ovarian cyst, etc. might cause cramps. Does chocolate help with period cramps? Yes, you will be thrilled to know that chocolate can help with period cramps in many ways. While the magnesium in chocolate can relieve the cramps and increase your energy, the endorphins or ‘happy hormones’ can make your mood better. Also, dark chocolates are rich in antioxidants and are hence great for your overall health. What is the difference between period cramps and pregnancy cramps? While period cramps usually last for just 3 or 4 days, pregnancy cramps can begin early in the pregnancy and often last from weeks to months. What are the best sleeping positions for period pain? The best sleeping position for period cramps is the fetal position. Sleeping in the fetal position not only reduces the blood flow but also relaxes the muscles around your abdomen, which results in lesser pain and cramps.